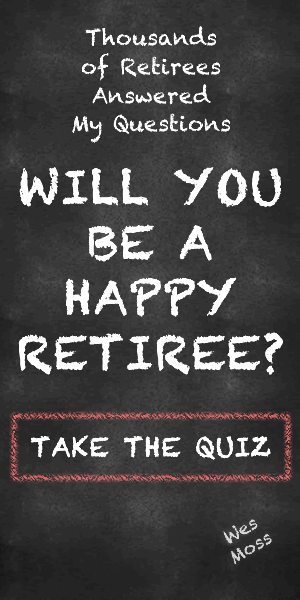 If you’re like most people, you have some worry (however big or small) that you won’t have enough money set aside when you retire. Knowledge is a powerful weapon for battling fear. The more we know about any challenge, the less scary it becomes. Allow me to introduce my Fill The Gap (FTG) strategy, a simple but powerful way to understand how much money you need in retirement, and how much your investments will need to contribute to meet that need. 2. Figure out your monthly spending: Tally up all of your monthly expenses. You can use Excel, Quicken, or just a good old-fashioned pencil and paper. Let’ say your monthly expenses come out to $5,000 per month. 3. Find your gap: Subtract your take-home income from your spending need. Here, we have: $5,000 – $3,500 = $1,500. So, the $1,500 figure is the perpetual gap you need to fill. Remember that it will need to be adjusted over time for inflation, and as your spending adjusts. That gap will ideally be filled by your nest egg. According to the well-established “$1,000 Bucks a Month Rule,” someone who retires at the typical age of 62-65 needs $240,000 in savings for every $1,000 a month they need to Fill The Gap. (This assumes a 5% annual withdrawal rate.) So, in the above scenario, the retiree would need $360,000 in savings to meet their monthly needs. At Capital Investment Advisors, we strive to help clients build portfolios that will Fill The Gap over the long haul with both income and growth. On the income side, we aim for a 4 percent yield on client investments. What exactly are we talking about here? Cash flow. Income. We are homing in on the dividends and interest that investors can enjoy from things like dividend-specific stocks, exchange-traded funds (ETFs), bonds, REITs, and MLPs. Investors can often get to 3.5, 4.0, or 4.5 percent yield, which is just the actual cash flow percentage that is paid out to you or added to your account. Check Out: How Much Do I Need To Save For Retirement? On the appreciation side, things are more fluid, as returns tend to fluctuate with the stock market and overall economy’s performance. As a rule of thumb, we at Capital shoot for an annual gain of between 2% to 4% from this part of our equation. Combine our two factors, and we’re looking to hit an overall annual percentage of somewhere in the 6.5% to 7.5% range. All things considered, I’ve found this number to be a reasonable estimate. I want to restate the importance of using after-tax dollars in your FTG calculations. Retirees often see a dramatic drop in their overall effective tax rate once they stop working, so it pays to do some research into your projected tax rate. For illustration, let’s say you were used to seeing 30% to 35% of your paycheck going to various taxes. Once you retire, it’s not uncommon to see that number cut in half. Typically, your overall effective tax rate goes lower because your income goes down: you’re controlling your income by only pulling out what you need, and while Social Security benefits are trickling in, the amount of that check is going to be less than your paychecks were. So, as a general rule, a person’s (or a couple’s) Adjusted Gross Income (AGI) decreases once they retire. “But Wes,” you say, “my financial situation is unique so FTG won’t work for me.” I beg to differ. Everyone’s situation is individual. Sure, you may have debts. But while your specific circumstances may be a little different than our cut-and-dry example, you can still use FTG. I’ve seen people use this strategy despite variations in things life: marital status; age differences between spouses; pension versus no pension; fear of stocks; fear of bonds; kids versus no kids; employee versus business owner. My list could go on and on. But part of the beauty of FTG is that it can be applied to anyone’s retirement strategy, no matter the specific financial or life situation. While we all have our own unique combination of variables, using the FTG strategy may help you work towards achieving your financial goals. Instead of dreading your retirement years and worrying you’ll run out of money, you can rest easy at night knowing what your gap is and how you plan to fill it. If that’s not a recipe for a happy retirement – and a good night’s sleep – I don’t know what is.